We’re proud to be part of the Motability scheme, helping to increase personal mobility. 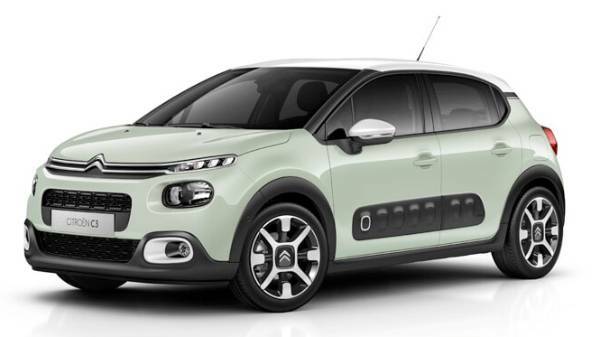 We have an extensive choice of new Citroen models to improve accessibility. All our Citroen Motability vehicles are carefully selected by our Motability specialists. Many driver aid upgrades are available without an extra charge. The scheme provides the opportunity to upgrade to a new car every three years. Motability organises the insurance so you and your nominated drivers are fully covered. Additionally, servicing and maintenance are both covered by Howards. We have an expert in-house team of technicians and mechanics trained to the highest standard. Below you’ll find a list of Motability cars and a brief description of how they can fit in with your lifestyle. Our Motability car price list above showcases all Howards Motability scheme offers. You’re reading about the compact car leader of its class! This city car is filled with a wide range of modern technology and has an impressive fuel economy achieving up to 65.7 combined mpg. The French C1 city car has excellent responsive manoeuvrability made for tackling tight city streets. 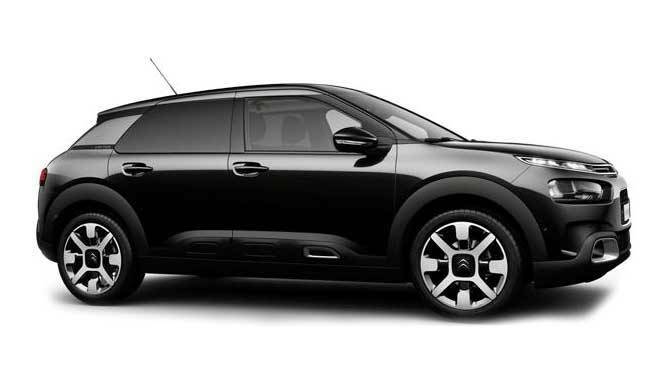 The popular C3 supermini, one of the most compact vehicles in its class! Its clever design combines generous amounts of interior space and a modern, sleek and sophisticated exterior. 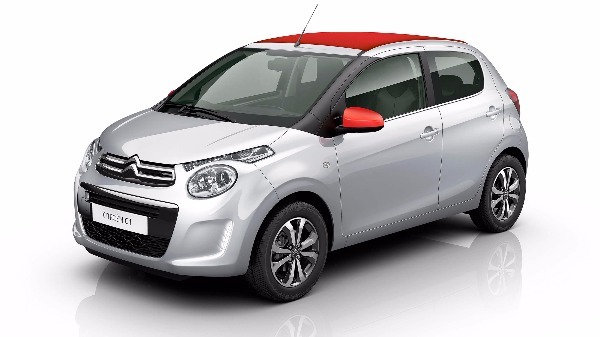 Your vision will be clear when sat behind the C3 Zenith windscreen, providing a crystal clear road view. The high-tech windscreen design is 1,350mm in length, increasing the driver's field of vision by a massive 80°. This makes reversing and parking easier with a wider angled view. The modern body style of the C3 AIRCROSS SUV family car offers a powerful, unique look with attitude. This is a robust looking car offering a high driving position, creating a very clear view of the road ahead. 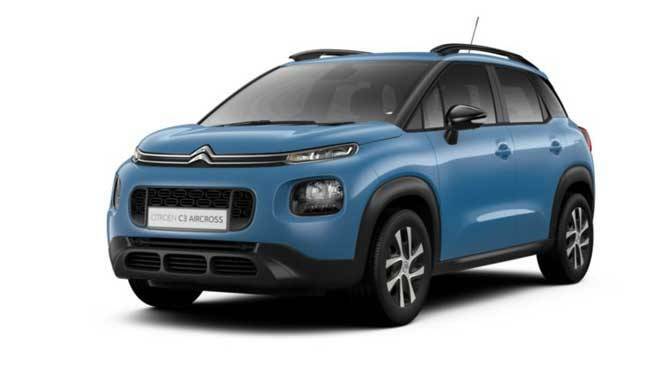 Exterior dimensions of the Citroen C3 AIRCROSS are: Length = 4154mm, Height = 1637mm, Width = 1976mm. In need of a car with a good boot space? This SUV offers 410 litres with seats up, however utilising the modular rear seats ⅔-⅓ you can achieve a space of 520 litres. This small SUV offers an ultra-modular interior space, providing 5 seats that offer class-leading leg space and headroom. You're in safe hands with the Citroën C3 AIRCROSS SUV as it comes with Grip Control® which improves traction in mud and snow. This feature offers 5 different driving modes helping the wheels drive on all surfaces. 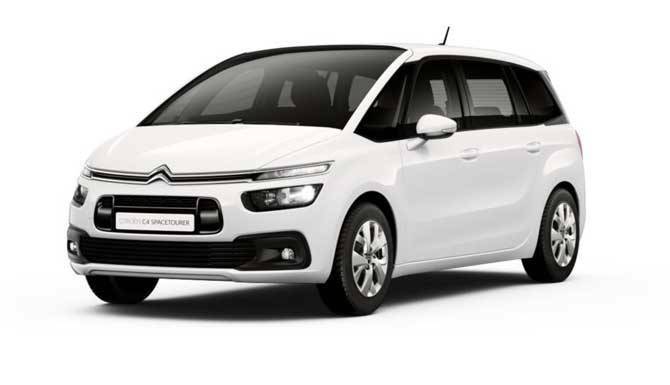 The C4 Picasso has now become the Citroen C4 SpaceTourer. Not only has its name changed, but the design has too. 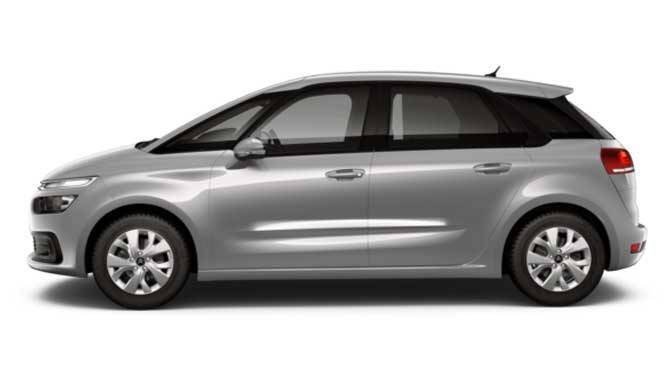 Citroen has developed a sleek bold looking family MPV. Offering family comforts mixed with real driving pleasure. The SpaceTourer is now available with an EAT8 (Efficient Automatic Transmission 8) gearbox. Cutting fuel consumption by 7% when compared to the EAT6. The 3-cylinder Turbo PureTech petrol engine cuts CO2 emissions by 18%. You have a choice of 2 petrol engines to choose from, PureTech 110 and PureTech 130. Citroën Advanced Comfort offers all passengers a spacious cabin to relax and enjoy. You can fit 5 people comfortably and there's a huge amount of boot space for all their luggage. Boot space = 537litres. Citroen's design achieve's generous cabin space, by maximising the exterior body dimensions. Height = 1644mm, Width = 1826mm, Length = 4602mm. Are you looking for a family-focused car without losing the joy of driving? If so, this is the MPV for you. New and improved family MPV. 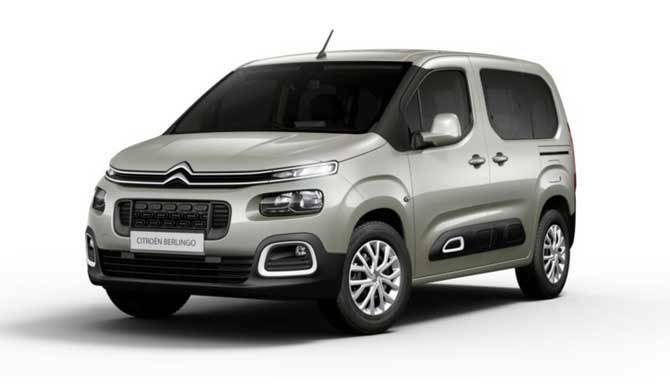 This Citroen Grand C4 SpaceTourer offers a more distinct design than its predecessors. However, it retains those notable Citroen features such as the three-stage light signature. The interior offers a luxurious family space. Built using luxury trim creating a light space while offering a roomy interior across 7 seats. The front driver's seat offers an electric massage function and adjustable lumbar support. The front passenger seat provides an electric footrest keeping you comfortable. Need a large boot space? The SpaceTourer offers a large capacity of 632 litres. This expands to 793 litres with the rear seats folded down. Built with you and your family in mind, Citroen has provided the best solution for motoring and family all packaged up in this people carrier. Looking for that car that will turn heads? This unique Cactus crossover will do just that, it's one of the most recognised and unique cars on the road to date. Its unique design comes from its AirBump technology providing a safe barrier between your car and a small bump or shunt. Spacious, comfortable and customisable are 3 words used to describe the Berlingo. It offers a large amount of space due to the modular layout. Providing 3 retractable individual rear seats. It offers many storage space compartments with a multifunctional roof. All this is wrapped up in a new selection of colours and material combinations. The Citroen Berlingo body style comes in 2 lengths. The standard size M = 4.40m long, and the larger XL size measuring 4.75m long. The family MPV Citroën Berlingo is packed full of technology, providing you with peace of mind when driving. Entertainment features include a colour head-up display for all your passengers. Our Citroen dealerships offer a wide range of cars that may suit your Mobility needs. Would you like to know more about a specific model or if we can cater for the added driving aids? Please call one of our specialists at either our Taunton or Weston-super-Mare dealership. They will be happy to help, or if you’d prefer, they can arrange for you to come into the dealership, it would be lovely to see you. We've also provided a page dedicated to Motability benefits and details about the scheme, including information regarding PIP (personal independence payment). Many of your questions may already be answered on here for quick reference if required.